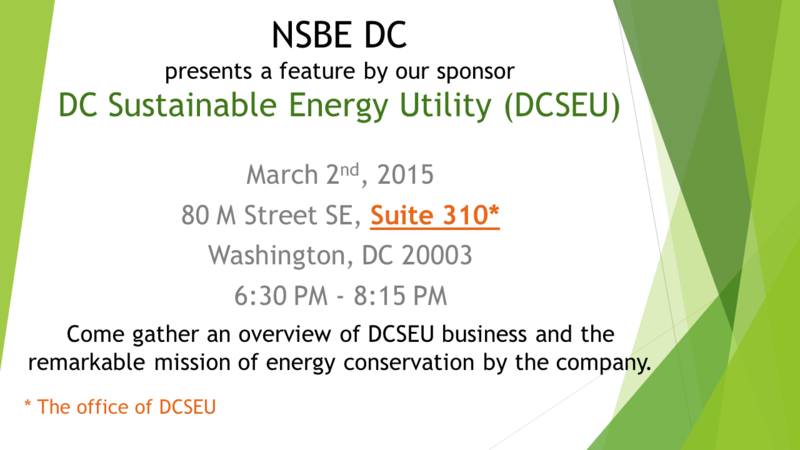 Join NSBE DC at our next Professional Development series, which will feature an offering by our sponsor, DC Sustainable Energy Utility (DCSEU) and learn about the great work they do. Please note, the meeting will take place at 80 M Street SE, Washington, DC 20003 in Suite 310. Free for NSBE DC Members! $10 for the General Public!